IVA GUEORGUIEVA (b. 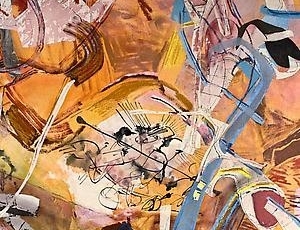 1974, Sofia, Bulgaria) received an MFA from the Tyler School of Art in Philadelphia in 2000. 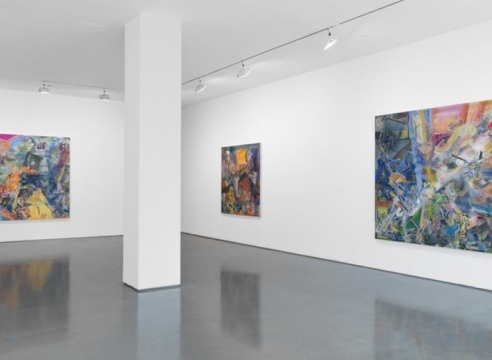 Recent solo exhibitions include Fredric Snitzer, Miami, FL; Ameringer | McEnery | Yohe, New York, NY; ACME., Los Angeles, CA; Susanne Vielmetter Los Angeles Projects, Los Angeles, CA; Galerie Stefan Röpke, Cologne, Germany; Luther W. Brady Art Gallery, Washington, D.C.; BravinLee Programs, New York, NY; Samsøñ, Boston, MA; Stichting outLINE, Amsterdam, Netherlands; and Pomona College Museum of Art, Claremont, CA. 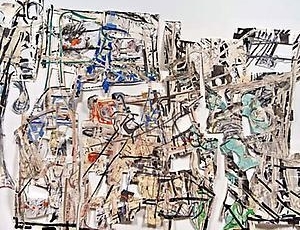 Notable group exhibitions include “Belief in Giants,” Miles McEnery Gallery, New York, NY; “Shift,” Denk Gallery, Los Angeles, CA; “Variations: Conversations in and around Abstract Painting,” curated by Franklin Sirmans, Los Angeles County Museum of Art, Los Angeles, CA; “Making Sense: Rochelle Feinstein, Deborah Grant, Iva Gueorguieva, Dona Nelson,” curated by Margaret Miller, USF Contemporary Art Museum, Tampa, FL; “Graphicstudio: Uncommon Practice at USF,” curated by Jade Dellinger, Tampa Museum of Art, Tampa, FL; and “Desire: Six Los Angeles Artists,” Pasadena Museum of California Art, Pasadena, CA, among others. 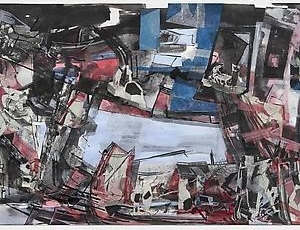 Her work is included in many public and private collections including the Los Angeles County Museum of Art, Los Angeles, CA; the Minneapolis Institute of Art, Minneapolis, MN; The Museum of Contemporary Art, Los Angeles, CA; University Art Museum | California State University, Long Beach, Long Beach, CA; Art, Design and Architecture Museum at UC Santa Barbara, Santa Barbara, CA; and Pomona College Museum of Art, Claremont, CA. 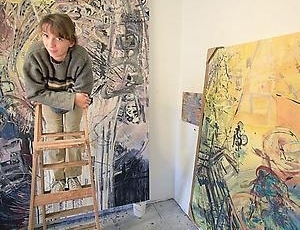 She is the recipient of the Orange County Contemporary Collectors Fellowship for 2012, the California Community Foundation mid- career fellowship for 2010, and the Pollock-Krasner Grant for 2006. 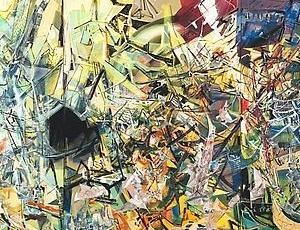 Gueorguieva lives and works in Los Angeles, CA. 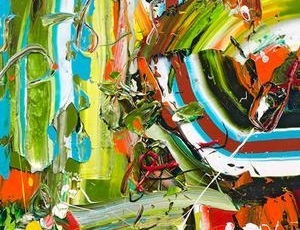 BETWEEN THE EYES from Crosstown Arts on Vimeo. 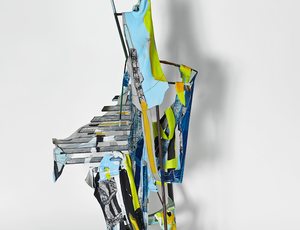 Fredric Snitzer Gallery is pleased to present Cut Figure, by Iva Gueorguieva. 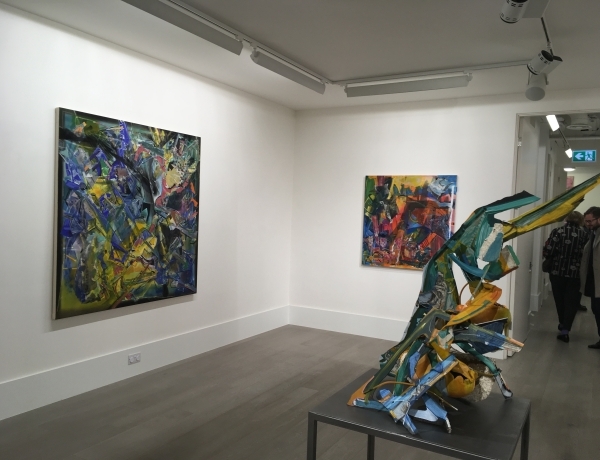 The artist’s second solo exhibition at the gallery features works ranging from paintings on stretched canvas to relief sculptures made with steel, wood, cardboard and muslin. 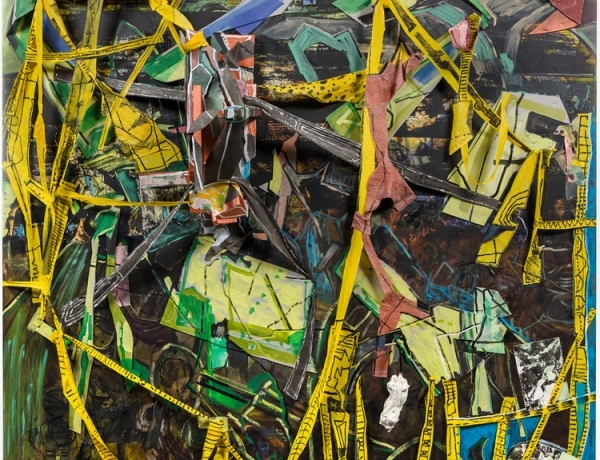 Gueorguieva views them as spatial constructions related to the work of Lucio Fontana and Thornton Dial, in a lineage including Russian Constructivism, American Assemblage and Dada. 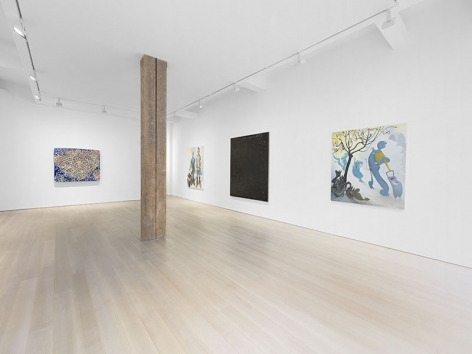 Sophia Contemporary is proud to present Shifting Landscapes, a group show of contemporary American artists exploring abstraction through painting, photography and sculpture. 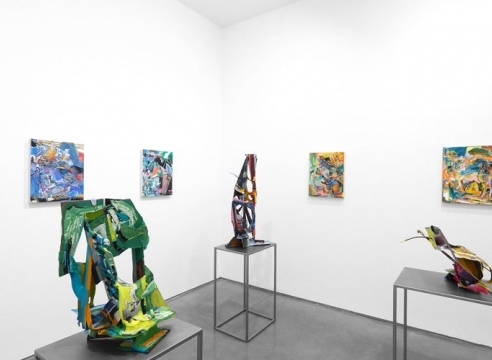 Featuring six artists - Afruz Amighi, Iva Gueorguieva, Herman Mejia, Amir Nikravan, Holton Rower and Hannah Whitaker - the exhibition reflects on the evolving nature of American art. 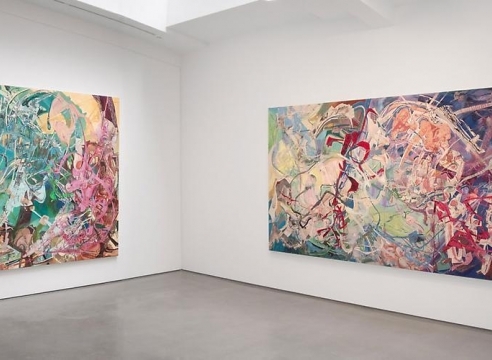 Casting a light on the diversity of contemporary approaches to abstraction, the works explore the artists’ impact on the landscape of art and American culture, across generations and disciplines. 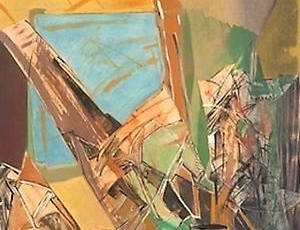 Through a variety of points of view and artistic practices, Shifting Landscapes provides a window into contemporary abstraction in America today. 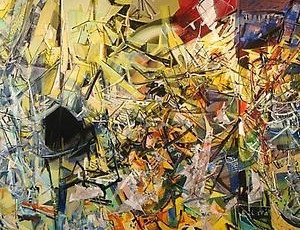 Issues of contemporaneity, materiality and historic legacy in a post-modern world unite the artists exhibited despite their differing artistic strategies, points of references and media of predilection. On a broader cultural level, the exhibition examines the multicultural nature of America at a time of division and isolation within the country. 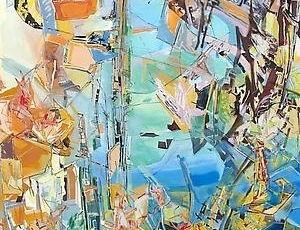 Many of the artists in the show live and work in the US, but were born in other countries including Iran, Bulgaria and Venezuela. 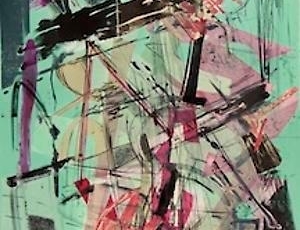 By reinterpreting American abstraction through the prism of their own varied cultural backgrounds and artistic heritage, the artists urgently reaffirm the diversity and openness in American culture, at a pivotal point in the nation’s history. A solo exhibition featuring new paintings and sculptures by Iva Gueorguieva opens 5 February 2016 and is on view through 14 March 2016. 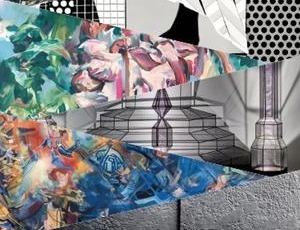 The opening reception is 5 February 2016 from 7:30 - 9 pm. 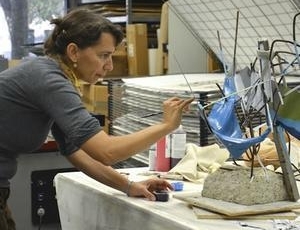 TAMPA, Fla. (Aug. 12, 2015) - As Iva Gueorguieva looks intently at the seven sculptures coming to life, she speaks about the synergistic relationship that she has developed over the past few years with University of South Florida’s Graphicstudio and how it has elevated and transformed the way she constructs her artwork. 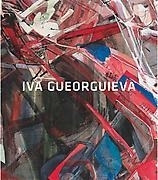 Artist Iva Gueorguieva arrived in the US as a teenager 26 years ago, somewhat accidentally. Her family urgently emigrated from their native Bulgaria in the wake of Communism's fall, but their flight to Canada was diverted to Washington, DC, by a freak storm—so they settled in Baltimore instead. "People see a violence in my work that they think references life in Europe, but honestly, Baltimore in the 1990s was pretty intense!" 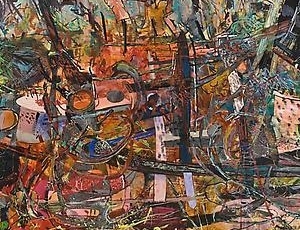 She attended art school in Philadelphia and lived for a long while in New Orleans, before settling in LA about ten years ago. She had left New Orleans two months before Katrina, and she knows that the perception of violence comes partly from that, too—though in fact, it is a violence done to art historical conventions and complacent iconography rather than to characters in settings. Her post-Katrina series was called Talisman Debris, hearkening to witchcraft, reliquary, and destruction. On a personal level, this represented a reconciliation of her "survivor's guilt" for escaping Katrina, which resonated deeply with her experience leaving Europe as well. All of this and more she still carries with her. I once took an art history class for which we were required to buy a textbook called Living With Art. The teacher joked that it made art sound like a terminal disease, like the cultural equivalent of Living With Heart Failure. It was funny and unfortunately apt: Critical and curatorial discussion around art too often feels like people whispering at a funeral. It is a task to not get sucked into all the morbidity. One of the main advantages of sculpture is its possibility to express multi-dimensionality. 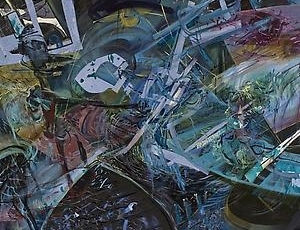 Of course, there are techniques in painting aiming to represent multiple dimensions. 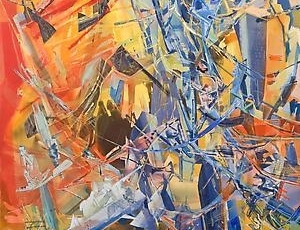 Iva Gueorguieva is a contemporary artist whose paintings are characterized by extraordinary techniques with the goal to represent variable-dimension worlds. 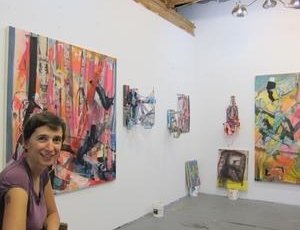 She experiments with cutting and collaging the surfaces of her paintings in order to explore the shallow yet real space produced by the cut and the glued edge. Working with sculpture was a natural step in the practice of Iva Guoeorguieva, deeply involved with the productive tension between the materiality of paint and support, and the possibility of illusory or “only-perceived” space. 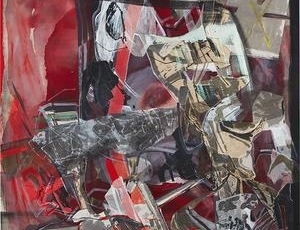 Finding ways for expressing the “materiality” in space is inherently related with sculptures. One of the main features of sculptures is its three-dimensionality that largely eases the positioning of subject-matter in space and time. 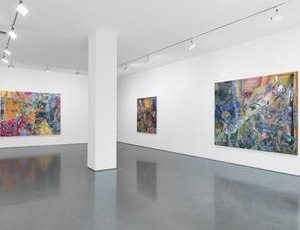 The latest series of paintings and sculptures by Bulgarian-born artist Iva Gueorguieva will be exhibited at Ameringer | McEnery | Yohe in New York. 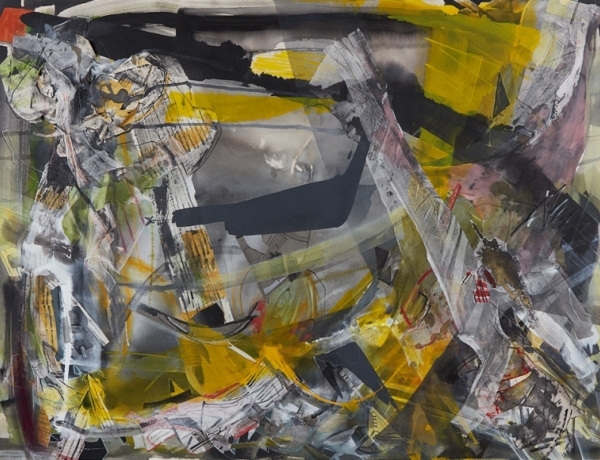 Tampa, September 5, 2014 – The USF Contemporary Art Museum is pleased to present the exhibition Making Sense: Rochelle Feinstein, Deborah Grant, Iva Gueorguieva, Dona Nelson open September 27 through December 12, 2014. 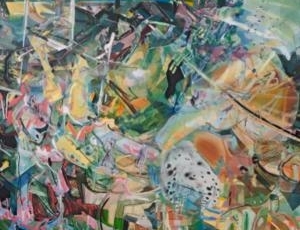 Making Sense brings together four artists who make distinctive contributions to contemporary painting. 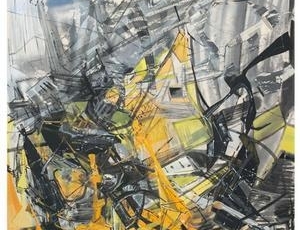 Through a range of approaches, they explore painting as a medium, a set of techniques, an historical institution and a framework for making sense. Inspired by WWII-era Enigma decoding machines, Rochelle Feinstein takes on puzzling figures of speech, inscrutable ideas and encrypted social codes as challenges for painterly representation. Using a method she calls “Random Select,” Deborah Grant creates imagined, non-linear narrative encounters between historical artists, interwoven with her own varied humanistic interests from literature to religion. 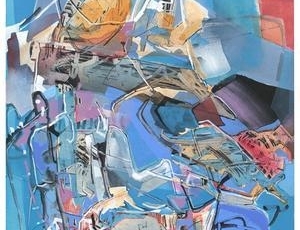 Iva Gueorguieva adapts the visual language of modern abstraction to create tumultuous, energetic spaces on canvas; her process of building up paintings by layering torn cloth with pigment and color washes produces spontaneous, dynamic compositions rooted in personal stories. Dona Nelson’s two-sided paintings, stained and layered with strands of cheesecloth, invite viewers to encounter them as freestanding forms. Making Sense includes new works produced by Feinstein and Gueorguieva at Graphicstudio, the 45-year-old collaborative printmaking and sculpture atelier of the USF Institute for Research In Art. 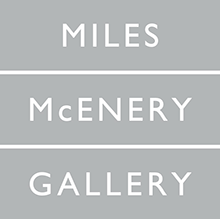 Curated by Margaret Miller, Director, USF Institute for Research in Art, and Megan Voeller, Associate Curator of Education, USF Contemporary Art Museum; organized by USF Contemporary Art Museum. 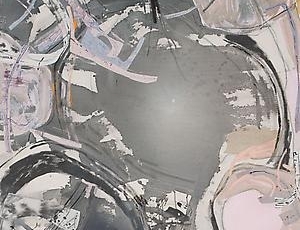 In an attention-compromised age when images are instant and prevalent, abstract painting serves as a contradiction, acting as a conduit for the mark of the original, individual artist. 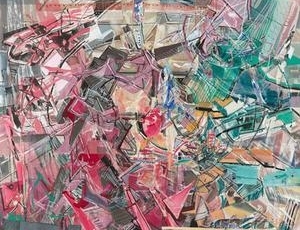 While most of the work in the exhibition has been recently created and acquired, additional paintings culled from LACMA’s collection illustrate how artists have reanimated techniques and forms using other sources that are appropriated from popular culture, photography, and collage, essentially creating a new variation of abstract painting. 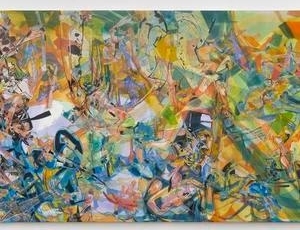 There’s nothing soothing about Iva Gueorguieva’s dense, elastic, collaged paintings at Samson. Many of them have the look of a city imploding. Lines tangle, planes twist and bend; forms shatter. 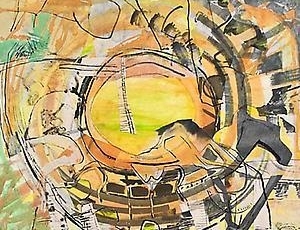 With colors, collisions, and veering angles, she sends a viewer’s eye ricocheting. Don't be fooled: they're not pretty. They might be harmonic, but dissonance dominates. And while they're birthed in a series of personal reveries, every time in the outcome they're social. I recall Adorno thought Schoenberg was valid because his meticulously-fractured, mathematically-battered structures perfectly mapped the world from which they withdrew. And later it was: yes to poetry after Auschwitz...provided it's a scream. You might think this too heavy given the living color and the hypnotic-magnetic allure of Iva's toppling geometries. But that's why I start with a warning. Don't look away; trust the nauseous corner of your eye. Three out of four paintings are mean and the fourth one is an apocalypse. 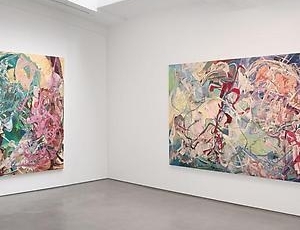 Iva Gueorguieva’s (NAP #73) paintings, on view at Ameringer | McEnery | Yohe in New York, bring a breathe of California sun to our frigid New York winter. 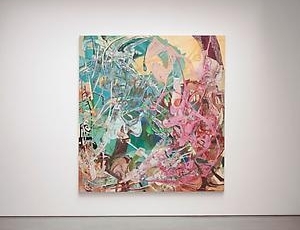 Working up the surfaces of her large canvases into almost a fetishized frenzy, the paintings are abstract, yet indicative of movement. 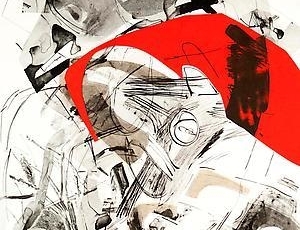 By denying viewers the ability to rest their eyes on any one component for too long, her works are both mesmerizing and disconcerting, inducing frustration as one tries to pinpoint figures or structures within the compositions. 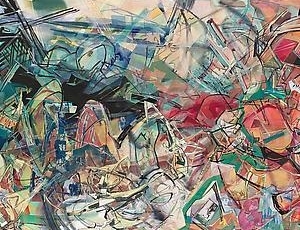 Fractions, edges, and suggestions of such imagery exist, but are ungraspable as they dissolve into the chaos of each scene. Arthur Peña: The role of history plays a big part in your work. This operates in two modes of objective history such as art historical content and the broader negotiation with our past and also the subjective history of your decisions that rest within the painting. How do you mediate between these two sets of history as content? Iva Gueorguieva: I believe that we all carry within our flesh the memories, desires and traumas of the previous generations. There is a muscle memory that becomes alive in the act of painting and I feel it. You think I’m describing your lover to you, exactly the night you met, twenty years ago. “But what about...” you begin, and think better of it, allowing me my impressions, limited and one-dimensional compared to yours—you, who sought and found all the ecstatic tickling flutters and sudden despairs of the heart, explored every hill and dale of their form, caught every nuance of manner and nervous tick. But I’m not writing about your lover. 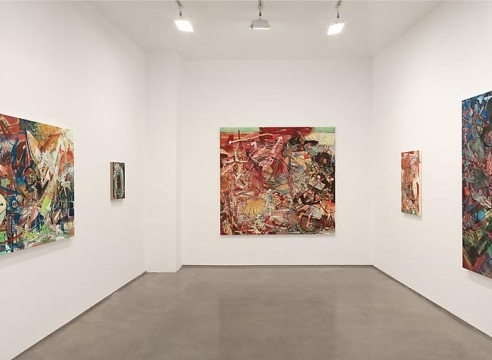 This is about the paintings and sculpture of Iva Gueorguieva, the emotionally rife and viscerally electrifying works with which you, I, or anyone else, may become intimately acquainted in very personal and differing ways. You may see the small patch of blue that makes you want to cry; I, the red flutter of lines that burns magnetic like solar flares; someone else, the dark, dark lagoon harboring a gravitational pull like the center of the galaxy. 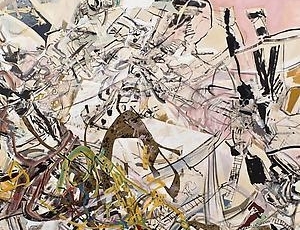 Her marks and shapes feels more like moments in time – a millisecond in the midst of furious activity – than like areas of space filled with paint. If you really get to know Women and the Ocean (2013) or Suitor (2013), as you would a partner, you’ll find that these paintings have lives of their own. 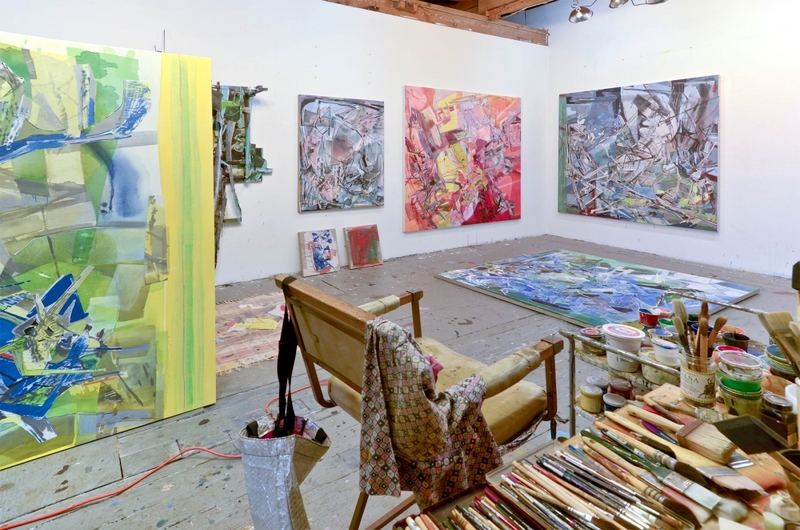 Six recent paintings on linen or paper and three relief constructions at ACME are anchored in the front room by a big triptych nearly 10 feet high and 15 feet wide. Visually, “Man Hunt” reads from left to right. Splintered shapes and whiplash lines of force pick up density and speed as your eye travels across the surface, but unexpected detours crop up along the way. 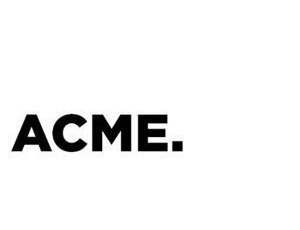 ACME. is pleased to present "Spill / Frame," a solo exhibition of new paintings, drawings, and sculptures by Los Angeles based artist, Iva Gueorguieva. The exhibition will feature a new large-scale triptych painting titled "Man Hunt," as well as three additional paintings, three sculptural wall reliefs, and several works on paper. Whether working with painting, drawing or sculpture, Gueorguieva creates complex, frenetic environments by interweaving precise line drawings with strips of collage, textured rubbings of pigment, and large washes of color. 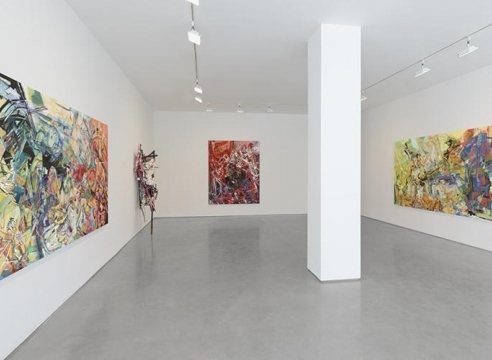 By physically and metaphorically cutting and bringing together disparate items and ideas in her paintings, drawings, and sculptures, Gueorguieva's works can be seen as assemblages of chaos and order, personal concerns and global issues. 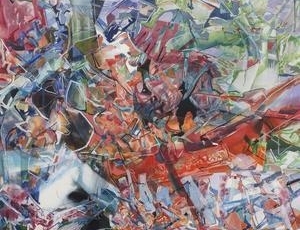 As the artist states, "to some extent we all do it, trying to make all this scattered matter fit." It's New, It's Now. 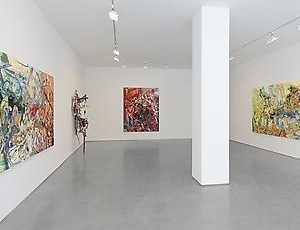 See iconic, eye-catching works by bold-faced names in the contemporary art world. 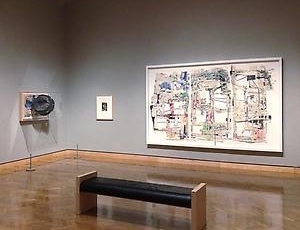 Ranging in date from the 1960s to the present, this exhibition showcases more than 90 original works on paper. Once inside a painting by Iva Gueorguieva, it's hard to leave. It's hard to want to leave. The surfaces, colors, shapes all clamor for attention, whisking the eye on a brisk, pinball course in disparate directions, then granting it moments of reprieve, small sanctuaries of brooding beauty. 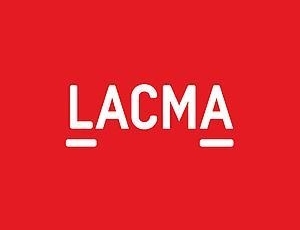 The Directors of Ameringer | McEnery | Yohe would like to congratulate Iva Gueorguieva on receiving the 2012 Fellowship from the Orange County Collectors Organization. Iva Gueorguieva: Ten Must See Painting Shows in the U.S.
Updating the tenets of that short-lived movement for the current era, Iva Gueorguieva’s recent paintings at Ameringer | McEnery | Yohe (“A Stitch in Graft”)—one of two concurrent shows for the Bulgarian-born artist—produce similar spellbinding effects. On view through April 10, the exhibit highlights an impressive collection of contemporary works from a wide variety of artists collected by the Golds for more than 30 years. Like many high-profile Los Angeles-based collectors — such as Edythe and Eli Broad or Lynda and Stewart Resnick — the Golds’ collection demonstrates an acute sense of style, taste and artistic understanding. 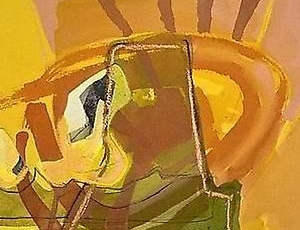 Angles Gallery is pleased to present AUGMN, an exhibition of new paintings and drawings by Bulgarian-born Iva Gueorguieva.